Let me tell you, July heard my challenge and Brought. It. The month started off with 3 days on the set of a major motion picture that was filming in town. Let me just say that film sets are not the place to be when you are an extra on a special needs diet. Thankfully I thought ahead and brought food, for the most part. While lunch was covered, the first day I discovered there was no hot water for oatmeal, so that made for an extra long day. I also failed in the bringing of enough snacks. Thankfully there was lots and lots of fresh fruit available for me to nosh on. 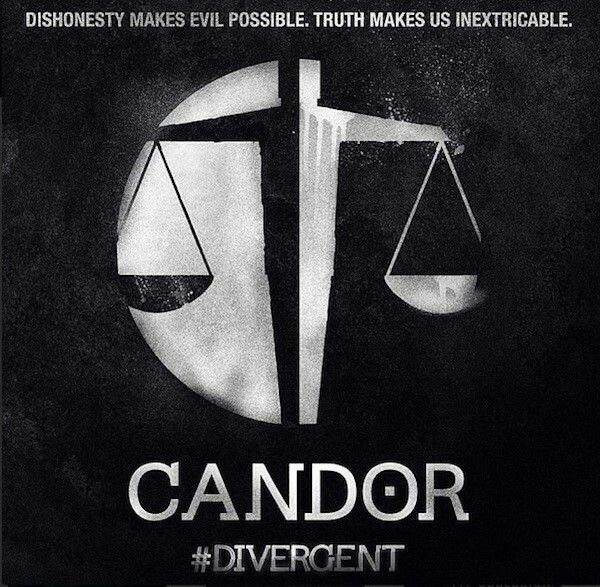 If this means something, you know what I worked on. It was a fun couple of days where I got to see, but not interact, with some pretty famous people. I have no clue if I will make it into the finished film, but I will know I was there and a part of something magical that ignited a spark that had been a bit dormant. After that, rehearsals started picking up for my summer show. This year I was thrilled to be a part of the Chicago Community Theatre premier of SHREK: THE MUSICAL. Now, before you get all eye-rollie with me, the script is by the same gentleman who brought us the brilliantly touching RABBIT HOLE. Shrek is actually one of my favorite newer musicals because the story is one I relate to and there are several songs that I absolutely adore! But it also involved 2 weeks of rehearsal every night with no internet connection to fill the time between. This is when my amazing cast shone. This was probably one of the closest casts I have worked with, and there was so little internal drama that it was heavenly. 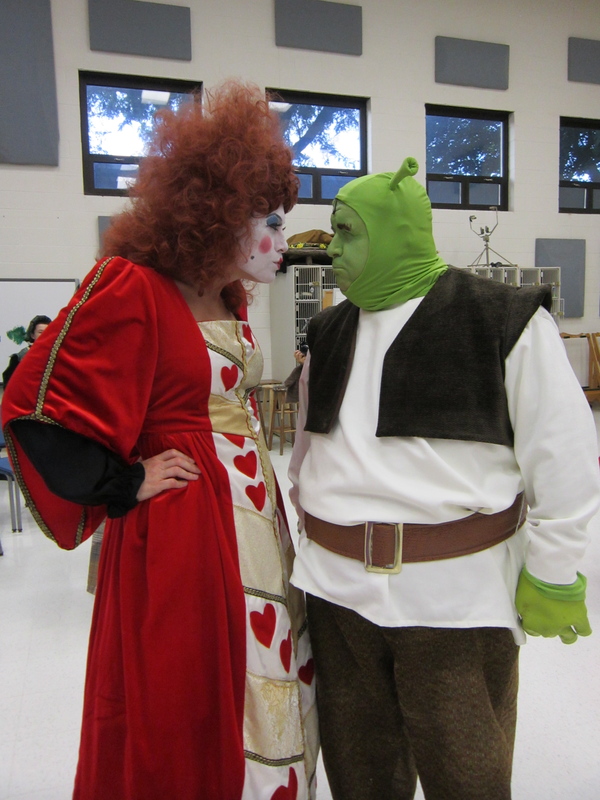 The Queen of Hearts and Shrek having a staring contest. The Queen had to shrink a bit. So those two events filled a bunch of time. One Saturday of the month saw me attending both an open background call for TRANSFORMERS 4 and then doing background work on an Exxon commercial. I was paid to look at the Chicago skyline and get color on what was the hottest day of the year. Granted, if you have been in Chicago you know that it is not too hot and we have had very, very few warm days, so it actually got me a little bit of color! 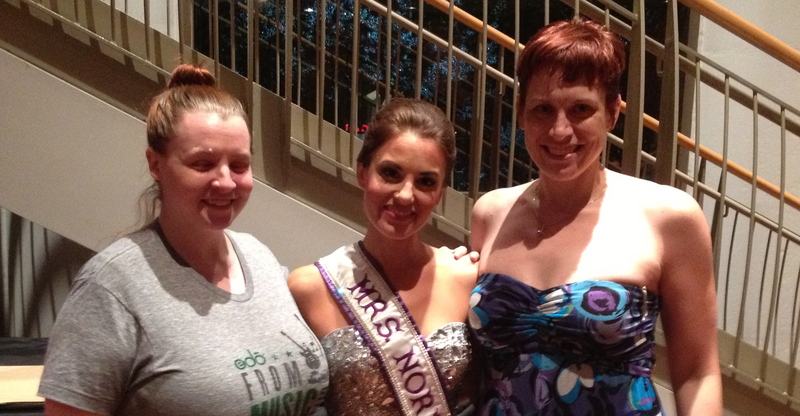 This month also saw Brandy Wendler returning to Chicago for the 2013 Mrs. International Pageant. 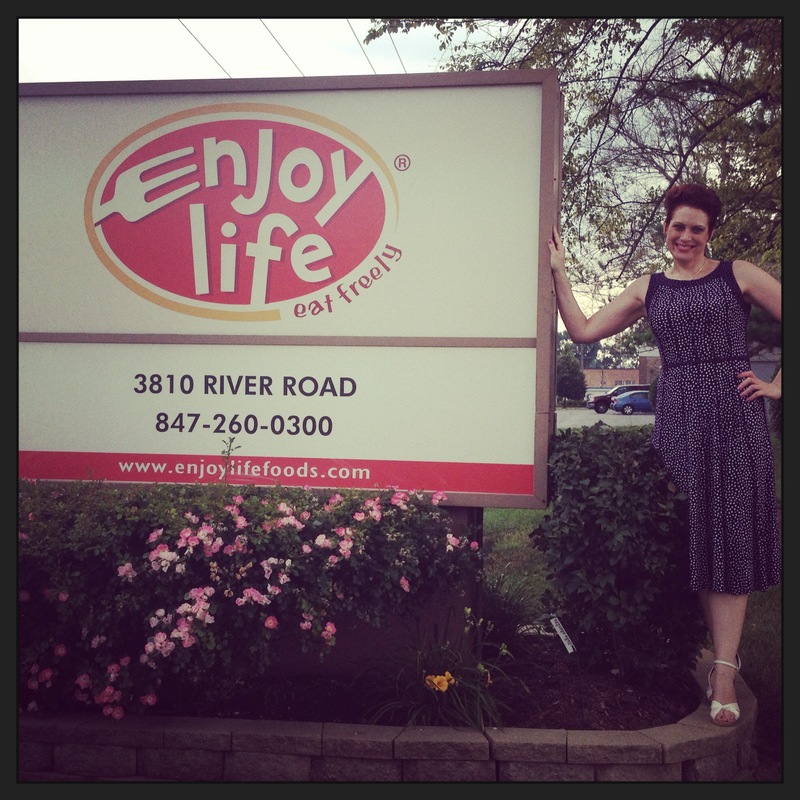 When she got into town we met at the headquarters of ENJOY LIFE FOODS for a tour. This was a fantastic visit a) because they sponsored Brandy in her pageant, and b) they are an awesome company that is free of the top 8 allergens. If you have not tried their food, I highly recommend you pick something up. Brandy and I have a fondness for the Plentils, and I am also a big fan of the Decadent bars. 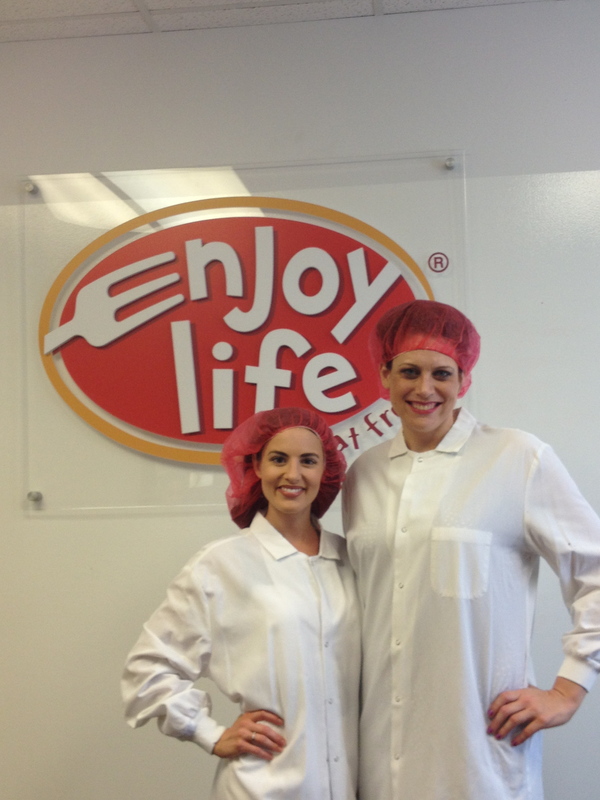 After some talking and getting us suited up in our white coats and pretty pink hairnets, it was time for the tour. All I am going to say is “WOW.” Wow that this company still packages things by hand, wow that they do so much in so little space, wow at the steps they take to ensure the food is safe, wow, wow, wow. The Marketing Manager, Kasey, was an absolute joy to have as a tour guide and somewhere she has a picture of Brandy and I climbing Mount Plentil. 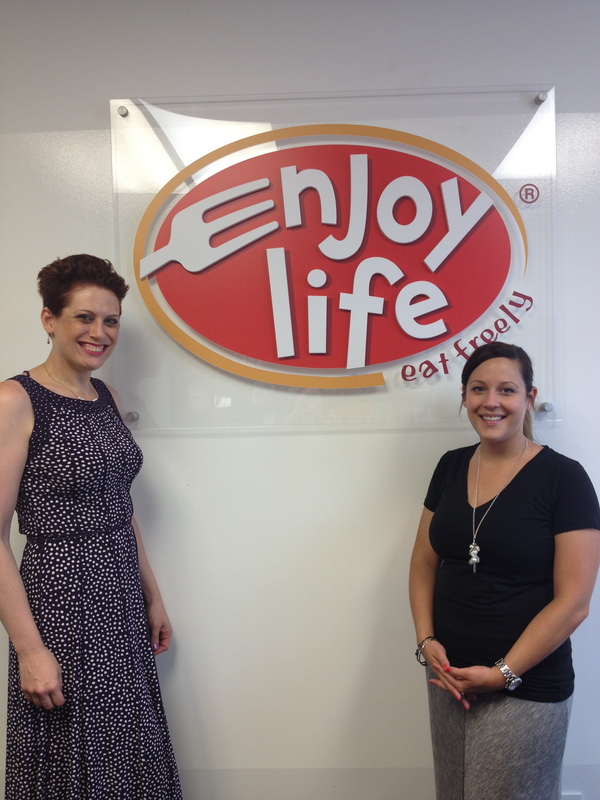 Brandy and I are ready to tour the Enjoy Life facilities. We make the red hair nets look GOOD! I have bad posture, but with the frabjulous Kasey of Enjoy Life. Brandy was in town to compete in the Mrs. International pageant. While I could not afford a ticket, I was dying to see her in her finery and bring her some celebratory cupcakes, as I was that confident she would do well. So, on Friday I got in touch with the fantastic FrannyCakes and we decided that it would be fun and go “crash” the pageant. Ok, I should probably define that. By crash we meant go hang out in the lobby, get the results, see Brandy and her handsome hubby after the show. So…we met up for dinner of a cupcake each at Swirlz Cupcakes before heading up to Skokie to hang out at the mall before it was time to hang out in the lobby. 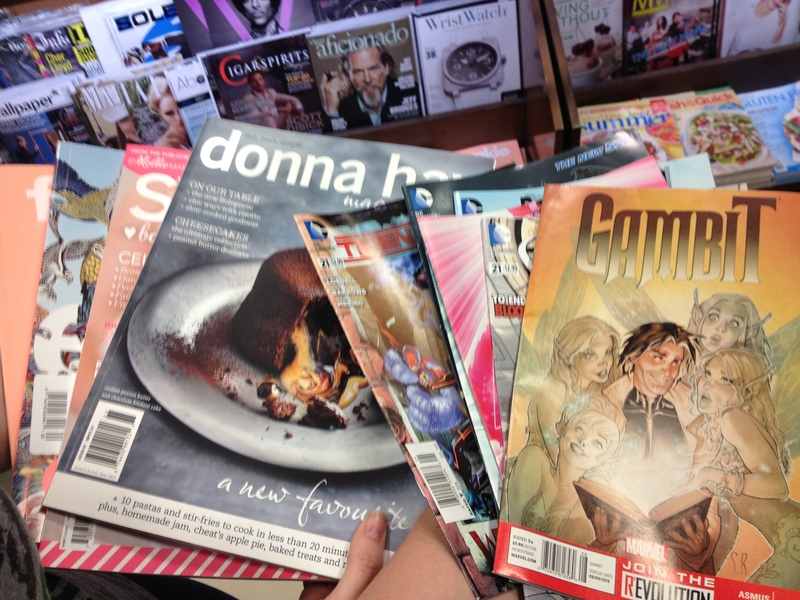 Granted, by hang out at the mall, I really mean go to Barnes & Noble, get tea, read magazines. Some of these are FrannyCakes, some are mine. Can you guess which is which? After a bit of light reading, we headed over to the venue to hang out in the lobby and see how she did. Sadly, we forgot that the first night they only announced who won Most Photogenic and not the Top 10. Oh well. We still got to see Brandy and JR, as well as Andrea and her new beau who had come in to cheer. Yup, we went to a beauty pageant. What else did I do?? New headshots were taken, I worked on a commercial for Exxon by lying around a park all day, stood in line for an extra cattle call for the next Transformers movie, attended a holiday party, and I got together with friends to feed our SYTYCD addiction. It was a crazy busy month, but boy, did I have a LOT of fun! In other news, it is now mid-August and I am late posting this because I have been cast in yet ANOTHER show. My goal is to get at least one post up a week, as I juggle rehearsal, work, exercise, lessons, and all the other craziness that is my life. If I miss, please bear with me, I am not done with y’all yet!